A new “Call of Cthulhu” game begins tonight: Watch us play, live! 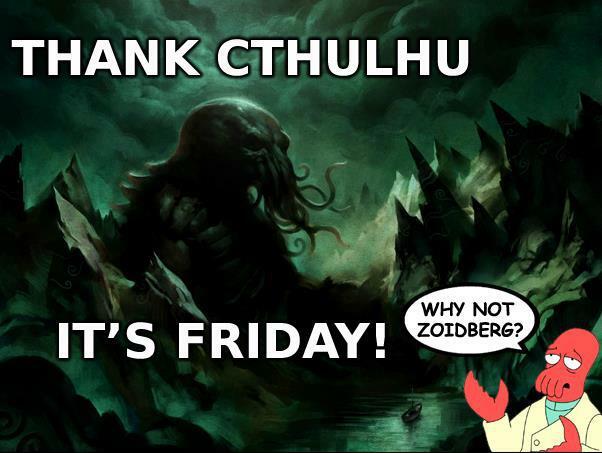 TCIF – Thank Cthulhu It’s Friday! And that means that you get to watch us play Call of Cthulhu, LIVE tonight at 9:00pm Eastern time (8pm Central, 6pm Pacific). It’s a lot of fun to watch, and while you do, you can interact with us on the Lovecraft eZine message board. To watch us play LIVE, go to this link at 9:00pm Eastern time.